My whole life has been lived in the pursuit of finding what I’m good at and trying to meld that passion with my actions. It basically took me a lifetime to discover I had a small amount of passion in the field of telling stories. Since I was a little girl and alone a great deal of the time, I loved to make up happy tales. I used all kinds of objects to create stories. When I didn’t have enough little people for the doll house I got for Christmas one year, I used my mom’s discarded thimbles. They made terrific children because I could write the kid’s name on the top each wooden thimble. So my desire to write romance grew out of a life lived believing in happily-ever-after. Even though life is harsh and for some the dream of forever is not a reality – yet, I still cling to the belief. My spiritual upbringing won’t allow me to believe otherwise. The dictionary suggests passion is any powerful or compelling emotion or feeling such as the opposites of love and hate. Passion is a fervor, zeal, or ardor. Often the Atonement of Christ is referred to has his “Passion,” from the Latin passus, because of what He suffered. So with passion, there is a component of suffering for what we want, or submitting to requirements or demands to obtain our passion. Writing is my passion. I’ve come to discover on my journey into writing, that I’ve got a better voice defending the underdog, uncovering those individuals fighting impossible odds to overcome an insurmountable situation. My passion discussed by my book coach and friend Beth Barany from an article she wrote on the passion of writing on the Blog DIVINING THE MUSE. Please read it, it’s good stuff. Without passion, our lives will become dull, meaningless and what we accomplish mediocre. None of us want that. So your commission today is to figure out what you’re passionate about, if you haven’t already done so. What fires your soul? What drives you forward, gets you out of bed each morning? What creative outlets do you have to put your passion into? Are you fortunate enough to be working with what you’re passionate about? There is real happiness in being passionate about your work. Doesn’t it make you glad to go there everyday? It should. Whether you’re a writer, or not, you have creative outlets. Put your whole heart into what you choose and strive to be passionate about it. I promise you, you’ll feel like you’ve conquered the world. Carol, I am so glad my article inspired you to write your own. 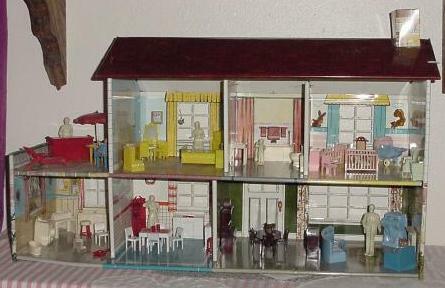 I love your story about the dollhouse. Is that picture from your childhood? Great job sharing your passion with us!